Despite what you might believe from our lack of blogging, we’re not actually dead. We are extremely busy. So busy, in fact, we haven’t even had time to talk. I (UC) have been away. I haven’t even seen ONE picture of your new hairdo. Moon has a new job that is so awesome I wish I could share with you, but then the Krisbians would probably attack. Mr. Choice just told me “no body cares about Rob Pattinson.” But he’s wrong. Some people care. And pretty soon some of those people will be Moon & myself. Just as soon as I catch up on sleep, detox from a week of drinking at work events and have a chance to talk to my dear friend, Moon. Great to see you back, UC and Moon! 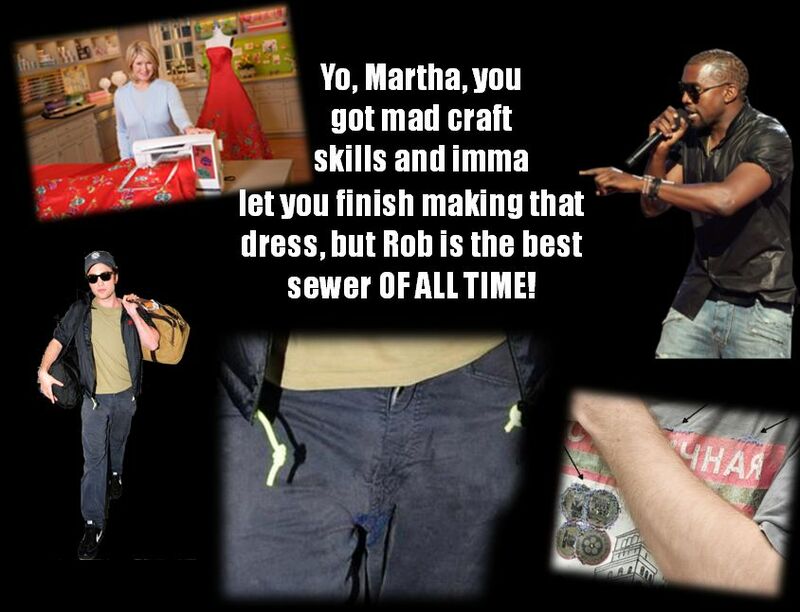 So Rob is the best drainage system of all time? WTF? Oh, SEWER! Not Sewer! And to think his mum took all the credit…..
Glad to hear you are both alive! I noticed on Twitter last night, that Ron was allegedly spotted at Paris airport, with his other half…..
Oh, so you mean Rob was spotted with Tom last night? And, according to Twitter, he was also spotted at the Sundance Film Festival (Aspen, Colorado) and also working out at a gym in LA – all three sightings on the same day! Wow, the boy sure gets around. I’m so glad you’re alive UC. I was beginning to get worried about you two. And def check out the buzzcut and outfit that Ron sported at the PCA’s. Those are worthy of a long, long breakdown. And you have me so curious as to Moon’s new job!!! Rob! Stop teleporting and show yourself!!!!! Wonder if he can hems my pants. No, really, I need help. ps. Sighting of Rob in my bed last night. Boy gets around. Smh. What u gals have lives?!? What! No, not computing … not acceptable! U have to sit on your computer and help my obsession. or things r going to get really ugly! Here is another sight claiming, where in the world is our Ron.